“Let’s do the Time Warp again!” The Low Down Cheap Little Punks perform during the Rocky Horror Picture Show at Raleigh’s Rialto Theatre on the first, third and fifth Fri. of each month. The theater, recently renovated (built in 1942), still retains its original beauty, vintage recessed lighting and performance stage. 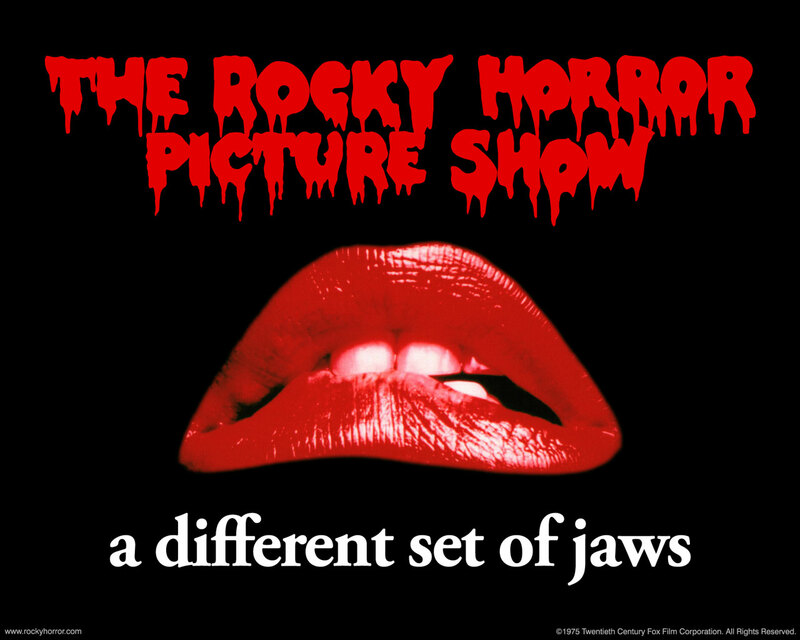 The cult classic film is projected on the movie screen and serves as a backdrop for the actors (referred to as “regulars”) on stage. 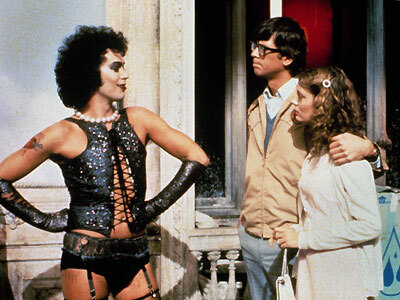 Those who have never experienced Rocky Horror in a theater with an audience and a live cast need to know that (1) this is not a horror film but a rock musical send-up of old science fiction and horror films and (2) this is a true audience participation flick. People yell back lines at the screen during the extended pauses between dialogue, dress up in costume and act out the film and throw props at various times. “It’s crude and rebellious, so perfect for teens. You weren&apos;t cool if you didn&apos;t go,” said Missy Farrow of Raleigh. The show starts at midnight, but you are encouraged to arrive between 11:30pm and 11:45pm. Devotees often bring toilet paper, rice, toast, rubber gloves and other goodies–but you are specifically requested not to throw things at the screen, the lights or the cast. Hot dogs (and all meats), eggs, water guns and confetti are not allowed. “I think the show gives people a thrill they may not have access to in their everyday lives,” said Raleigh’s Amanda Winstead who met her husband there. “Publicly engaging in behaviors they&apos;d never otherwise consider–tasteless humor, running around in underwear, naughty dancing–can give them the thrill of the taboo, as well as an exhibitionistic and voyeuristic tingle,” she said. At the Rialto, there are usually a very small number of people who will come in costume as a character, many more who dress in some form of unusual clothing and plenty in normal street clothes. Winstead advises people to keep an open mind and a friendly demeanor. This particular production also offers theme nights a few times a year that are generally based on holidays or big movie releases. All audience members are welcomed to go in costume and participate in the mayhem. “The Halloween show was the best,” said Raleigh’s Christie Comer. “That was actually my first time going and it was packed.” Please visit the Punks’ Facebook page for calendar details. Admission is $6 per person, cash only. Beer, wine and other concessions available, as are prop bags. Header photo courtesy of Amanda Winstead.